For the historian of Latin America, see Jeffrey Lesser. Jeffrey Lesser (born in New York City  ) is a music producer for Nickelodeon. He has received ten Emmy Award nominations for his work on Wonder Pets! , winning four of them. Nickelodeon is an American pay television network which was launched on December 1, 1977 as the first cable channel for children. It is owned by Viacom through its Viacom Media Networks division's Nickelodeon Group unit and is based in New York City. It broadcasts usually from 7:00 a.m. to 9:00 p.m. on weekdays, Saturdays from 7:00 a.m. to 9:30 p.m., and Sundays from 7:00 a.m. to 8:00 p.m.. It is primarily aimed at children and adolescents aged 2–17. Wonder Pets! is an American animated children's television series. It debuted March 3, 2006, on the Nick Jr. block of the Nickelodeon cable television network and Noggin on December 27, 2006. Lesser was a music director and producer at Little Airplane Productions for thirteen years. He has produced records for Barbra Streisand  ( Lazy Afternoon ) and Loudon Wainwright III  ( History ), among others. Little Airplane Productions is an American television production company, most well known for producing preschool television programs. Founded by Josh Selig in 1998, the company created and produced Wonder Pets! and Oobi for Nickelodeon, Go, Baby! for Playhouse Disney, and 3rd & Bird for the BBC's children's channel CBeebies. Barbara Joan "Barbra" Streisand is an American singer, actress, and filmmaker. In a career spanning six decades, she has achieved success in multiple fields of entertainment and has been recognized with two Academy Awards, ten Grammy Awards including the Grammy Lifetime Achievement Award and the Grammy Legend Award, five Emmy Awards including one Daytime Emmy, a Special Tony Award, an American Film Institute award, a Kennedy Center Honors prize, four Peabody Awards, the Presidential Medal of Freedom, and nine Golden Globes. She is among a small group of entertainers who have been honored with an Emmy, Grammy, Oscar, and Tony Award – though only three were competitive awards – and is one of only two artists in that group who have also won a Peabody. Lazy Afternoon is a studio album recorded by American singer Barbra Streisand. It was released on October 14, 1975 by Columbia Records. After releasing the Funny Lady soundtrack earlier in 1975, the singer began working with new musicians for the project following the mediocre critical response generated from her previous studio album, ButterFly (1974). Recorded in April 1975 in Los Angeles, Lazy Afternoon contains pop standards. Producer Rupert Holmes wrote four songs on the album, and Streisand received her first songwriting credit for the song "By the Way". She also included a few cover songs, such as Four Tops' "Shake Me, Wake Me ", Stevie Wonder's "You and I", and Libby Holman's "Moanin' Low". 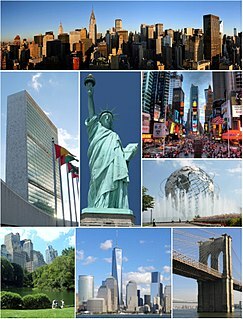 The Upper West Side, sometimes abbreviated UWS, is a neighborhood in the borough of Manhattan, New York City, bounded by Central Park and the Hudson River, and West 59th Street and West 110th Street. Oobi is an American children's television series created by Josh Selig of Little Airplane Productions. The series follows four characters, represented by bare hand puppets with eyes and accessories, on their everyday adventures. It began in 2000 as a series of shorts commissioned by the Noggin network, which was a joint venture between Nickelodeon and Sesame Workshop at the time. Two seasons of full-length episodes aired on Noggin and Nickelodeon from April 7, 2003, to February 11, 2005. Lesser has been nominated for ten Creative Arts Daytime Emmy Awards, all for his work on the Wonder Pets! series. Joshua Selig is an American television producer and director. He is the founder of Little Airplane Productions, a television studio headquartered in New York City. He has won ten Daytime Emmy Awards for his work as a writer on Sesame Street. The 36th Annual Daytime Emmy Awards were held on Sunday, August 30, 2009, at the Orpheum Theatre, Los Angeles, California, and were televised live on The CW for the first time. The Daytime Entertainment Creative Arts Emmy Awards were presented a day earlier on August 29 at the Westin Bonaventure Hotel. The 37th Annual Daytime Emmy Awards were held on Sunday, June 27, 2010, at the Las Vegas Hilton, and were televised on CBS. The Daytime Entertainment Creative Arts Emmy Awards were presented two days earlier on June 25 at the Westin Bonaventure Hotel. The 38th Annual Daytime Emmy Awards were held on Sunday, June 19, 2011, at the Las Vegas Hilton, and were televised on CBS. The Daytime Entertainment Creative Arts Emmy Awards were presented two days earlier on June 17 at the Westin Bonaventure Hotel. The Daytime Emmy for Outstanding Legal/Courtroom Program is a category of the Daytime Emmy Awards dedicated to the court show genre. It was first introduced in 2008. Previously, court shows were grouped miscellaneously in the talk show category. The 39th Annual Daytime Emmy Awards presented by the National Academy of Television Arts and Sciences (NATAS), ″recognizes outstanding achievement in all fields of daytime television production and are presented to individuals and programs broadcast from 2:00 a.m.—6:00 p.m. during the 2011 calendar year″. The ceremony took place on June 23, 2012 at the Beverly Hilton Hotel, in Beverly Hills, California beginning at 5:00 p.m. PST / 8:00 p.m. EST. The ceremony was televised in the United States by HLN and produced by LocoDistro and Executive Producer Gabriel Gornell. 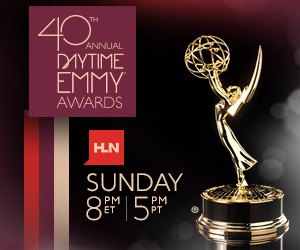 The 40th Daytime Emmy Awards, presented by the National Academy of Television Arts and Sciences (NATAS), "recognizes outstanding achievement in all fields of daytime television production and are presented to individuals and programs broadcast from 2:00 a.m. to 6:00 p.m. during the 2012 calendar year". The ceremony took place on June 16, 2013 at The Beverly Hilton, in Beverly Hills, California beginning at 5:00 p.m. PST / 8:00 p.m. EST. The ceremony was televised in the United States by HLN and executive produced by Gabriel Gornell. The 39th Annual Creative Arts Emmy Awards presented by the National Academy of Television Arts and Sciences (NATAS), "recognizes outstanding achievement in all fields of daytime television production and are presented to individuals and programs broadcast from 2:00 a.m.—6:00 p.m. during the 2011 calendar year". The 42nd Daytime Emmy Awards, presented by the National Academy of Television Arts and Sciences (NATAS), "recognizes outstanding achievement in all fields of daytime television production and are presented to individuals and programs broadcast from 2:00 a.m. to 6:00 p.m. during the 2014 calendar year". The ceremony took place on April 26, 2015, at the Warner Bros. Studios in Burbank, California, 5:00 p.m. PST / 8:00 p.m. EST. The ceremony, televised in the United States by Pop was executive produced by Michael Levitt, Gary Tellalian and Mike Rothman. Talk show host, actress and producer Tyra Banks hosted the show for the first time. The 42nd Daytime Creative Arts Emmy Awards ceremony, which honors the crafts behind American daytime television programming, was held at the Hilton Universal City Hotel in Los Angeles on April 24, 2015. The event was presented in conjunction with the 42nd Daytime Emmy Awards by the National Academy of Television Arts and Sciences. The nominations were announced on March 31, 2015. The 43rd Daytime Creative Arts Emmy Awards ceremony, which honors the crafts behind American daytime television programming, was held at the Westin Bonaventure Hotel and Suites in Los Angeles on April 29, 2016. The event was presented in conjunction with the 43rd Daytime Emmy Awards by the National Academy of Television Arts and Sciences. The nominations were announced on March 24, 2016, and neither ceremony was televised. The Daytime Emmy Award for Outstanding Musical Performance in a Daytime Program is an award presented annually by the National Academy of Television Arts and Sciences (NATAS) and Academy of Television Arts & Sciences (ATAS). It was first awarded at the 43rd Daytime Creative Arts Emmy Awards in 2016 when the award was originally called Outstanding Musical Performance in a Talk Show/Morning Program and was first presented to Rachel Platten for her performance of her hit single "Fight Song" on the morning program Good Morning America. The Award honors the work of a musical artist and the Program’s production of the performance. With the current title award name that was established in 2017, on-camera musical performances from any appropriate Daytime show and several entries for performances by different musical artists appearing on a program are eligible to enter the competition, rather than just a talk show or morning program. The Daytime Emmy Award for Outstanding Entertainment News Program is an award presented annually by the National Academy of Television Arts and Sciences (NATAS) and Academy of Television Arts & Sciences (ATAS). It is given to honor a television newsmagazine that covers "the entertainment industry with a focus on human interest, popular culture and celebrity gossip and interviews". Programs of this genre airing between the hours of 2:00 a.m. and 8:00 p.m. are eligible to enter. The Daytime Emmy Award for Outstanding Digital Daytime Drama Series is an award presented by the National Academy of Television Arts and Sciences (NATAS) and Academy of Television Arts & Sciences (ATAS). The 44th Daytime Creative Arts Emmy Awards ceremony, which honors the crafts behind American daytime television programming, was held at the Pasadena Civic Auditorium in Pasadena, California on April 28, 2017. The event was presented in conjunction with the 44th Daytime Emmy Awards by the National Academy of Television Arts and Sciences. The nominations were announced on March 22, 2017, during a live episode of CBS's The Talk for the third year in a row. On January 26, 2017, it was announced that the Lifetime Achievement Award would be presented to Harry Friedman. Marc Ceccarelli is an American animator, director, producer, and writer. He won the 2018 British Academy Children's Awards in International Animation and the 2018 Daytime Emmy Award in Outstanding Children’s Animated Series for his work on SpongeBob SquarePants. 1 2 3 "Jeffrey Lesser - a brief bio". JeffreyLesser.com. 1 2 Barbiero, Michael (January 2006). "Jeffrey Lesser: Doing it all, from Kool & the Gang to kids' TV". Mix Magazine . ↑ "The Heartbeat of Little Airplane: An interview with Jeffrey Lesser". Kidscreen . ↑ "3rd & Bird ready to fly on Disney Junior". Animation Magazine . ↑ DeMott, Rick (13 September 2010). "Little Airplane Dishes Up Small Potatoes to Playhouse Disney". Animation World Network . ↑ Wolfe, Jennifer (16 September 2014). "Little Airplane Unveils 'P. King Duckling' at MIP Junior". Animation World Network . ↑ Heffley, Lynne (3 March 2006). "Unchained Melodies". Los Angeles Times . ↑ "Billboard Magazine - March 23, 2002". Billboard . ↑ "Billboard Magazine - October 6, 2001". Billboard . ↑ "A new 'Parade' recording". Jason Robert Brown . ↑ "35th Annual Creative Arts & Entertainment Emmy Awards" (PDF). EmmyOnline.org. ↑ "The National Academy of Television Arts & Sciences announces winners for the 36th Annual Daytime Entertainment Creative Arts Emmy Awards" (PDF). EmmyOnline.org. ↑ "The National Academy of Television Arts & Sciences announces the 36th Annual Daytime Entertainment Emmy Award nominations" (PDF). EmmyOnline.org. Archived from the original (PDF) on 2015-09-24. ↑ "Winners of the 37th Annual Daytime Entertainment Creative Arts Emmy Awards Announced". Zap2it . 28 June 2010. ↑ "The National Academy of Television Arts & Sciences announces the 37th Annual Daytime Entertainment Emmy Award nominations" (PDF). EmmyOnline.org. ↑ "ASCAP Seizes the Day". American Society of Composers, Authors and Publishers . 20 May 2011. ↑ "39th Annual Creative Arts & Entertainment Emmy Awards" (PDF). EmmyOnline.org. ↑ "The National Academy of Television Arts & Sciences announces winners for the 39th Annual Daytime Entertainment Creative Arts Emmy Awards" (PDF). EmmyOnline.org. ↑ "2014 Daytime Emmy Award Craft Nominees" (PDF). EmmyOnline.org. ↑ Littleton, Cynthia (1 May 2014). "'Young & the Restless' Leads 41st Annual Daytime Emmy Noms". Variety .